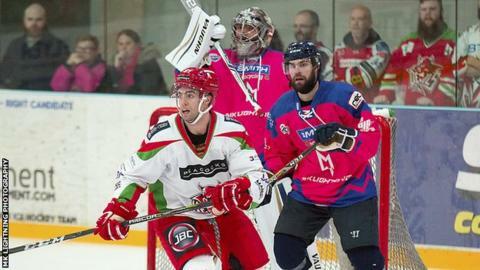 Cardiff Devils were undone by former players on Saturday as they lost 5-2 at MK Lightning in the Challenge Cup. Former Devils Guillaume Doucet, Carl Hudson and Denny Kearney (2) all scored for Lightning in Milton Keynes. After Doucet's opener Patrick Asselin equalised for Devils, but the middle period belonged to Lightning who scored three times from 26 shots. Sean Bentivoglio pulled one back for Devils, but Ludwig Karlsson restored the home side's three-goal lead. Devils return to Elite League action on Sunday, when they face Manchester Storm in Cardiff.